For a continuous-time system, a sliding sector is designed as a subset of the system state space, where some norm of the state decreases. 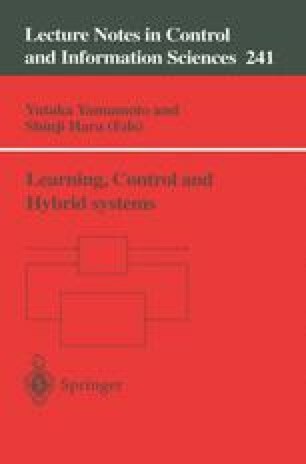 The continuous-time VS control law is designed to move the system state from the outside to the inside of the sliding sector. The sector is defined as the PR-Sliding Sector where the norm is defined as the quadratic form of the state with the symmetric matrix P and its derivative is less than negative of a quadratic form of the state with the matrix R. In the paper, the discrete-time VS controller for the sampled-data system is designed as an extension of the continuous-time VS controller. The discrete-time sliding sector is to be defined as a subset of the continuous-time sliding sector. The discrete-time VS control law is equal to the continuous-time VS control law at every sampling instant. It is proved that such discrete-time sliding sector for a sampled-data system exists and the proposed discrete-time VS controller quadratically stabilizes the sampled-data system if the sampling interval and the feedback coefficient are chosen suitably. Simulation result is given to show the effectiveness of the proposed VS controller for sampled-data systems.